As a professional manufacturer and supplier of hangling belt conveyor in China, Siton is founded in 1992. 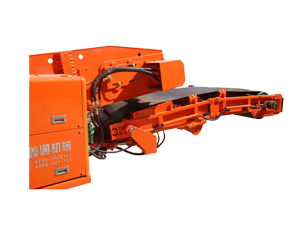 Our products mainly include mucking equipment, tunnel excavating equipment and mining haulage equipment. We also provide bridge conveyor, triangle belt conveyor, Shuttle Mining Car, etc. All our products have passed the security certificate and the patent certificate of national grade. Besides, our company possesses more than 60% market share. We establish business relationship with customers from Canada, India, Kazakhstan, Vietnam, Morocco, Algeria, Laos, Nepal, etc. If you need mobile belt conveyor, please feel free to contact us.